The Denver Broncos have a bad taste in their mouths after getting by Indianapolis in a home playoff game last year. 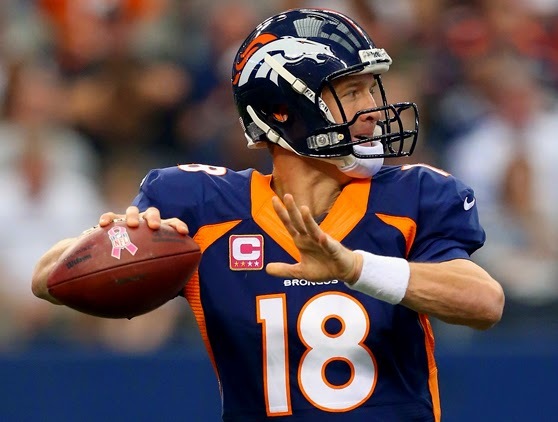 The reason for the loss was Peyton Manning's injuries, which made him much less effective than earlier in the season. To correct the problem, Denver has chosen to limit Manning's attempts throughout the season to keep him fresh for January. This strategy therefore, bodes well for C.J. Anderson, who is expected to carry to running game in Denver. We project the Broncos to put up solid, more balanced numbers on offense, have decent defensive production, and believe the team will compete for an AFC title again in 2015. With Peyton Manning, C.J. Anderson, Demaryius Thomas, and Emmanuel Sanders in the fold, the Denver offense will be elite again in 2015. We don't expect production as high as a few years ago, but we still see very strong output out of Denver. The Broncos defense was very good in 2015, ranking 3rd in yards allowed and 16th in points allowed. With a unit lead by DeMarcus Ware, Von Miller, TJ Ward and Aqib Talib, we see the Broncos remaining a top 10 defense in 2015, especially late in the season, where the Broncos play four of their last six games at home.